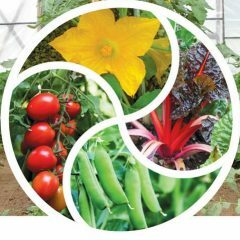 This new book (published by the University of Minnesota Press) offers a real-life organic vegetable farmer’s memoir. Normally, I look for inspiring reading during the winter, to refresh myself for the next farming season. This book, however, is a perfect mid-summer revival aid for farmers and gardeners flagging in the heat. It gives us perspective on our troubles as we read of Atina’s and husband Martin’s struggles with wild weather (hailstones the size of B potatoes! ), continuous hard work, and land lost to developers and threatened by a pipeline. The immediacy of their powerful and tender story and Atina’s decision to stand up and become a leader for what she believes in gives us inspiration. We can feel validation of our work as organic vegetable growers as we read that 1¼ acres of kale can produce 182,000 servings, and if our marketing is as good as the Diffleys’, we can sell them all within 42 miles of the farm! 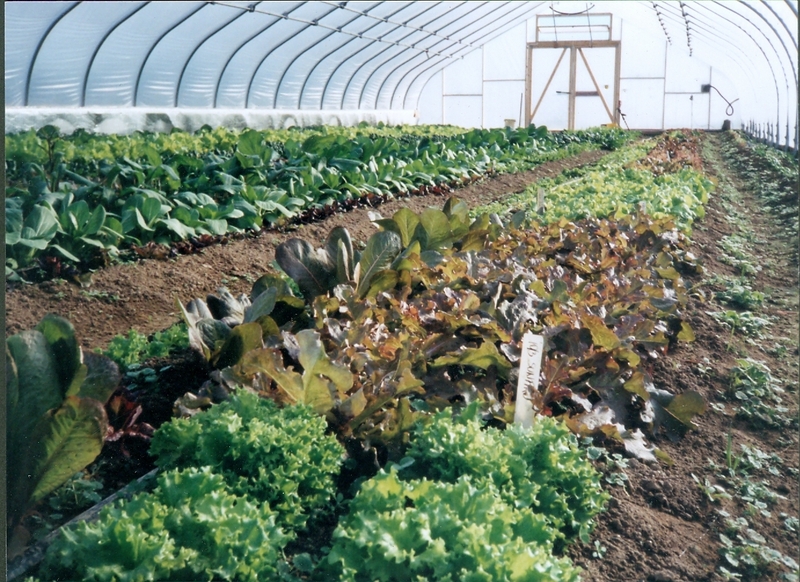 Organic farming sequesters 15-28% more carbon than industrial farming, with a 33% reduction in fossil fuel use. Early in the book, you might wonder if she’ll ever make it as a farmer, but her determination and perseverance, and the quality of attention she brings to what happens on the farm ensure her success, and our gripping reading. The Diffley family farm is lost to developers, who carve and churn up the soil even while Atina, Martin, their two children and their crew rush to harvest their crops. They decide to piece together a farm from patches of land they buy and rent, until they find the perfect farm to buy. Being itinerant farmers is no easy choice, and requires exceptional organizational skills. One of their organizational strengths comes from using Holistic Management tools learned at a workshop. She and Martin each write “quality of life” statements, answering the question “If we lived perfect lives, what would it look like?” Each winter they quit farming for a week, party and relax in clean clothes, with clean fingernails. Even talking about the weather is an “illicit act” during the Quitting Week. Then they state their goals for the year and recommit. When they farm again it is a conscious choice. Decisions have to fit their quality of life statements. Atina says: “I have the same nightmare every winter. If I think about everything it takes to pull off a successful season, it seems impossible . . . [but] if we have a plan in place and I stay in the present, then the work is manageable. . . I just have to remember not to look too far ahead.” Exactly the same is true for me, maybe for you too. One year they decide to simplify their crops and cut a deal where each picks a crop to drop. Goodbye to potatoes, onions, winter squash, leeks. Sort of. Atina admits that she and Martin then each sneak some winter squash in, unable to completely let go of the experience they have gained in growing this crop. This amazing book also has gems of practical information embedded in the story, and they’re worth noting. Techniques include the use of farm micro-climates (the first place the purslane germinates is the best spot for early tomatoes and melons); moving flats of aphid-infested seedlings out into the center of a field of vetch for the day, to have the insects in the vetch feast on the aphids; accepting up to 50% defoliation of broccoli plants between the six-leaf stage and heading, because it will not decrease the yield; reducing the chance of aphid-vectored diseases in a squash planting by sowing a “toothbrush strip” of wheat around the perimeter (when the aphids chew on the wheat it cleans the viruses from their mouthparts, so the squash stay virus-free). The farm grows in size and complexity each year, with a bigger work crew and more refrigerated trucks. They also develop a massive supportive community of consumers and produce retailers, which is to prove its worth as the story develops. When the Diffleys find their new farm, they can finally set the washing-line poles in concrete. But a big cloud comes over the perfect horizon – Koch Industries claim eminent domain to route their pipeline through their farm. 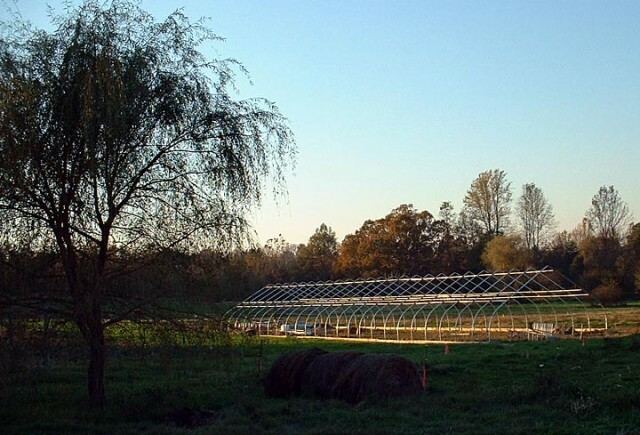 Atina fights this, not just for their farm, but for other organic farmers too, establishing a protocol for safeguards to be taken if organic farm soil and wildlife habitat is disrupted. The normal legal process for a farm trying to prevent a pipeline across their land involves proposing other people’s farms as possible alternative routes. This process divides us and causes each of us to need to compete with each other and fight individually. Atina Diffley created an Organic Appendix to the Agricultural Impact Mitigation Plan (AIMP) that is legally required when farmland is dsirupted. Atina and her legal team got the pipeline company to accept that (in the words of Dr Deborah Allen) “The losses to an organic vegetable farm from diminished soil quality are of a different character and order of magnitude than on a conventional crop farm.” Healthy soil is necessary for a successful organic farm. By creating this Organic Appendix and getting the pipeline company to accept it, Atina made something other organic farms could also use to prevent eminent domain devastation on their farms. It could also encourage other farms to transition to certified organic and benefit from the Appendix. Far from falling for the individual solution and fighting only for her farm, while further jeopardizing other farms, Atina found a way to unite with other organic farmers in fighting the assault. This mixture of heart-breaking and encouraging is what makes the book so engaging. Atina tells us: “Every winter I do recover from the season’s exhaustion, but if I push too far, I won’t. As we age, personal balance will require more consistent time for renewal.” In keeping with her wisdom, after 35 years of farming, Atina and Martin retired from active farming to become educators and consultants about organic farming. See their Organic Farming Works website for more info. 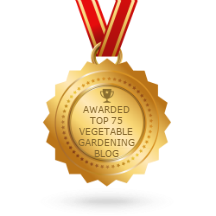 Here’s this month’s task list, which you can adapt for your own vegetable plot. We’re in central Virginia. It’s 100F just so you know! October 14 is our average first frost date. Mow clovers, and sorghum sudan cover crop areas. Lettuce Factory: Sow heat-resistant lettuces, every 5 days, (sowing #20, 21, 22, 23, 24, 25), using shade-cloth & burlap to cool the soil after and before sowing. Soil temp must be below 80°F – use Jericho if very hot, with ice on seed rows, or sow in plastic flat in fridge. Transplant #16, 17, 18, 19, 20, 21 this month under shadecloth – 120 heads (1/3 bed) /planting. Store seed in fridge. String weave tomatoes once a week with binder twine. Seed selection: Romas: Select for high early yield and healthy foliage. Mark with ribbons on T-posts (bows on good side). Select 100 from 260 plants. Remove off-types, don’t select from plants within 150’ of other tomatoes. Perennials: Water blueberries, take up & store roof netting. Mow, weed & water all perennials. Cover crops: can sow buckwheat, soy and sorghum sudan during July. Also white clover if damp enough. Mow spring potato tops if they have not died by 7/1. Spread compost for fall brassicas following potatoes. Disk in compost ASAP, or if disking impossible, till. Sow brassicas for fall, resow earlier brassicas if needed. Use rowcovers, water and your best powers of memory. Sow carrots #8 (if needed), corn #5. Last date for limas is 7/6. Asparagus: First week of July (or sooner) is a good time for weeding, composting and tucking mulch. Hill up peanuts at 12” tall, and mulch them. Clear any remaining spring carrots, for best flavor. Stop harvesting broccoli when it gets bitter. Potato Onions – July 10-15 Second sorting: check through curing bulbs, starting with the largest. Eat any > 2”, or refrigerate and plan to plant them in September. Use Worksheet and Log Book. Strawberries – July 6-8: If propagating from our plants, pot up 600-900 for each planting, pencil-sized crowns, 2 or 3 leaves, 4” petioles. Use current favorite method. Remember irrigation. 580 for 1 bed in East Garden, 900 for 2 beds in Central Garden, 800 for 2 beds in West Garden. Finish renovating strawberries by mid-July, restore 20″ paths. Plan, inventory and order winter cover crops. Make cover crop maps. Summer Disking: Get spring broccoli & cabbage area bush-hogged, disked, sown in summer covers – same time as second disking for corn #6. Disk some of the Green Fallow area for new strawberries, sow buckwheat & soy. Harvest spring potatoes 2 weeks after tops have died; air the root cellar and warm to 70°F. Store potatoes in the early morning. Ventilate the cellar every night or two, especially if it’s wet in there. Cut down all the celery to encourage a second harvest. Transplant senposai, yukina savoy, komatsuna, other fall brassicas – cover all with rowcover. Keep watered. If eggplants are suffering from fleabeetle, start foliar feeding. Seed Selection: watermelons: mark 30 early large watermelons from healthy plants for seed (use grease pencil). Sow fall brassicas, corn #7, scallions #4, fall carrots and bulb fennel in the last week of July, if not too hot and dry. 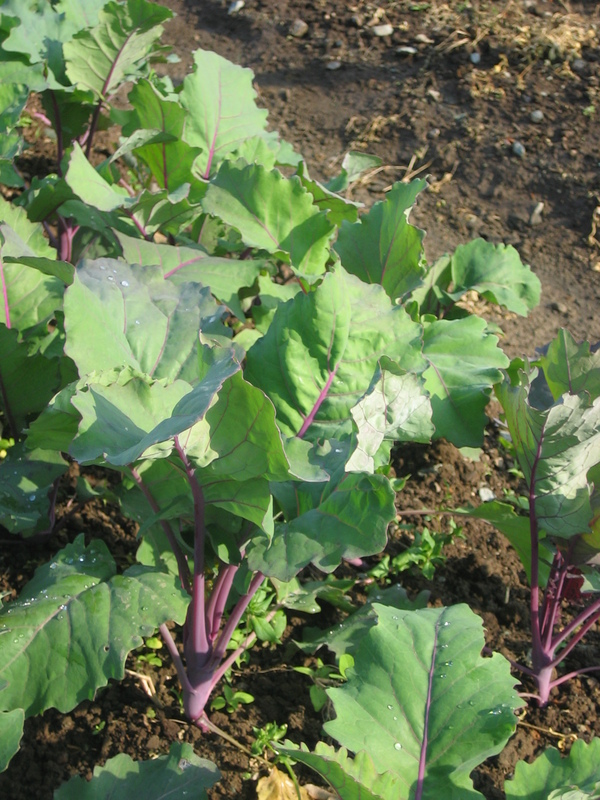 Transplant more brassicas, incl kohlrabi, collards, preferably not older than 5 weeks. Transplant lettuce #20 & 21. July Harvests: Asian melons, asparagus beans, beans, beets, blueberries, broccoli (early July), cabbage, cantaloupes, carrots, celery, chard, corn, cow peas, crabapples, cukes, edamame, eggplant, lettuce, okra, onions, peppers, hot peppers, potatoes, raspberries, Roma paste tomatoes, scallions, squash, tomatoes, zucchini and summer squash.